Starr Bryden's Foot Locker, found in Kerrville in 2012. 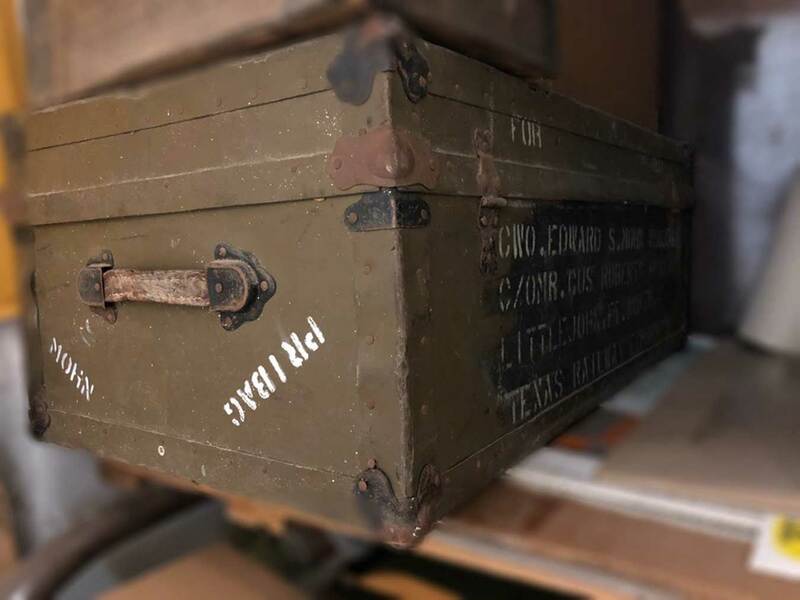 In late 2012 a young woman made an amazing discovery while visiting her family's place in Kerrville: a foot locker filled with historic Kerr County photographic negatives. The photographs were taken between the 1890s until the late 1950s, and most of the photos were taken by one person, Starr Bryden. 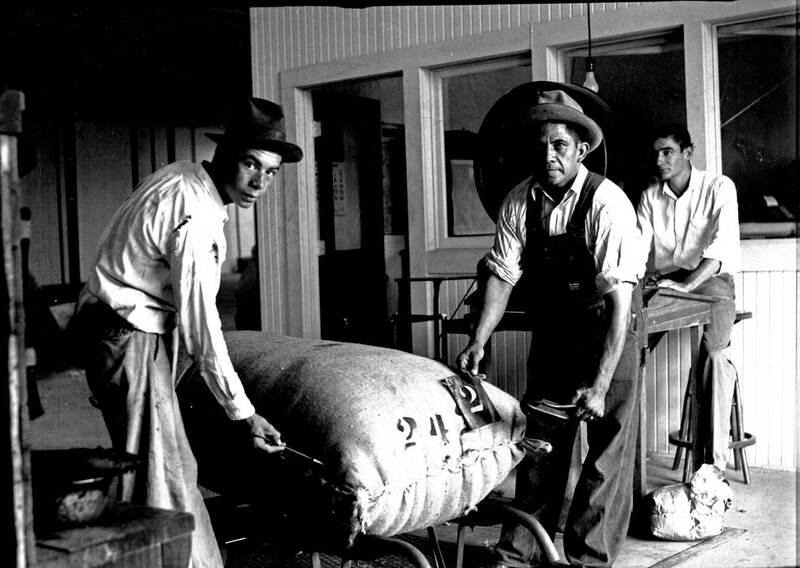 Raymond Starr Bryden was a professional photographer in Kerr County from around 1915 until his death in 1959. He arrived in Kerr County as a young man, fighting for his life: he was ill with tuberculosis. Born in Illinois in 1892, he was the youngest of six children. 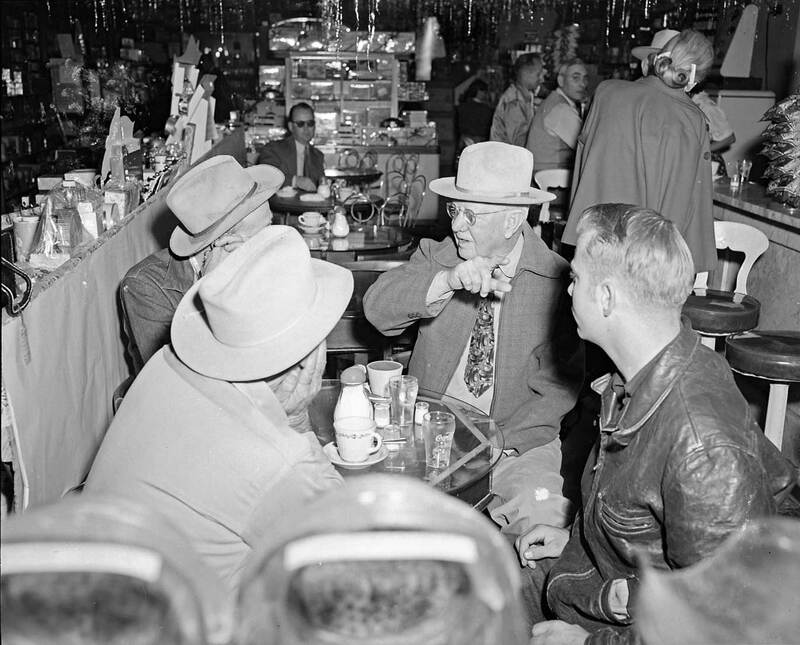 Around 1912, while living in Tennessee, he was diagnosed with "galloping consumption," a term then used for an especially virulent form of tuberculosis. 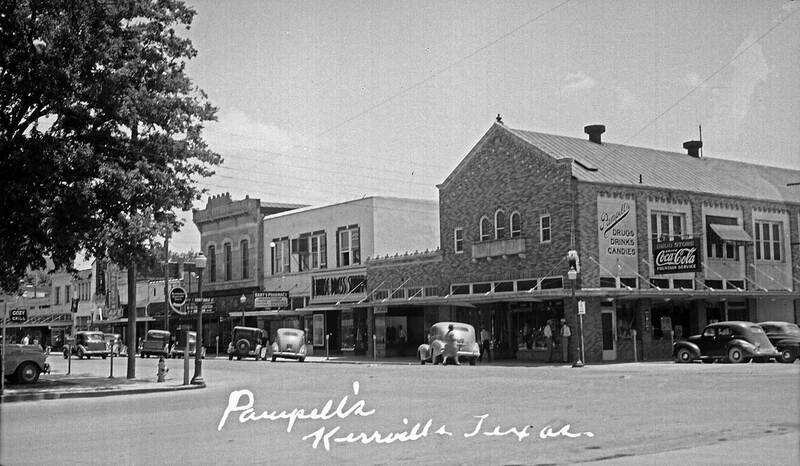 In those days the climate of Kerrville and Kerr County were considered helpful to TB patients; many came here, starting in the 1860s. A surprising number of the patients recovered and went on to live long lives here. In 1912 Starr Bryden's father, Elisha Porter Bryden, brought his son to San Antonio, where they lived for a year; Starr didn't improve. 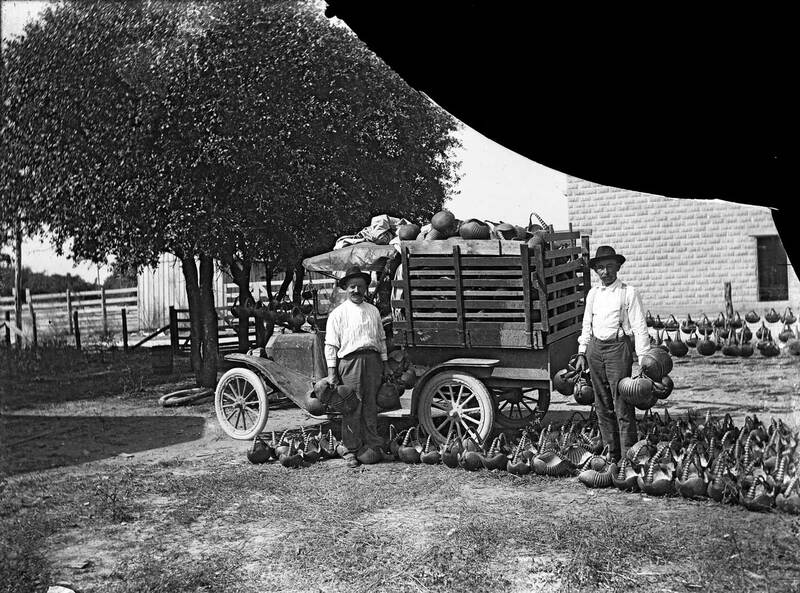 They moved to Kerr County in 1913. 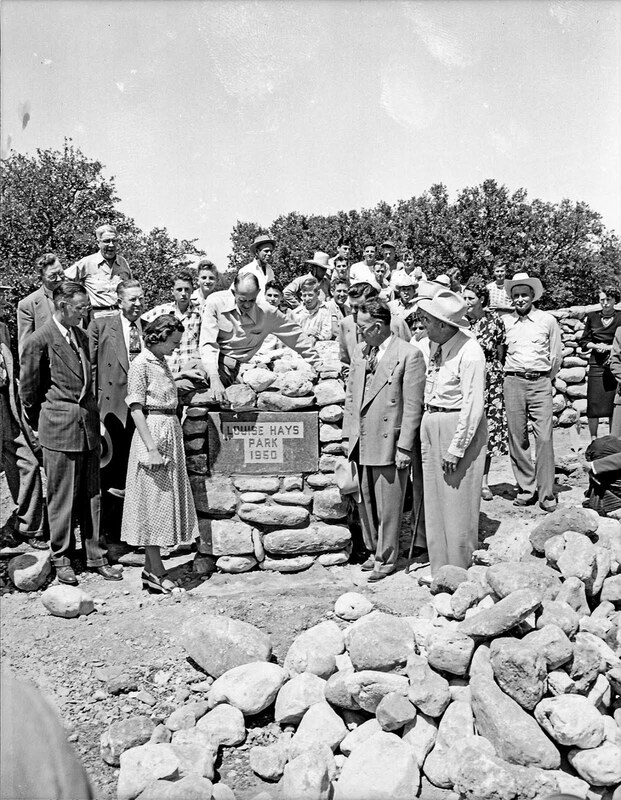 They didn't move into a house or tent -- they built a small cabin, about the size of a chicken coop -- on the Tom Myers Ranch, which was about 12 miles south of Kerrville, near Medina Mountain. That's where Harry Williams found Starr and his father. Harry and Ella Williams ranched on Turtle Creek, and in 1913 some of their goats escaped their pen. Harry went out in search of the missing goats. At the Tom Myers Ranch, Harry was told about an old gentleman and his sick son, living out in the woods, and went out to meet them. When he got home, he told his wife, Ella Denton Williams, about the sick young man, and she did something quite amazing: she told her husband to go back and get Starr and bring him to their home. She had a portion of their porch enclosed for a room for Starr, and she took care of him. When he arrived, Starr Bryden was so sick he couldn't walk. Ella Williams nursed him back to life, making him walk back and forth across the porch, singing with him as they walked. After several weeks, Starr was strong enough he could walk on his own. Eventually Starr's father returned to Tennessee while Starr stayed in Kerr County, where he lived until his death in early 1959, 46 years after being saved by the Williams family. the park named for her. 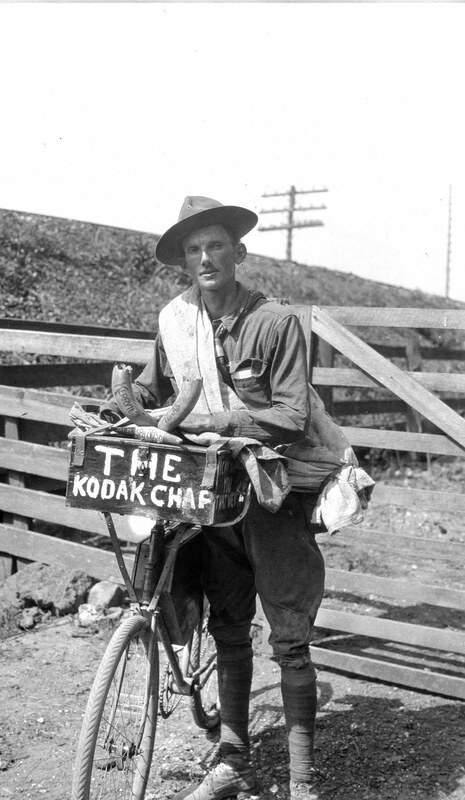 By 1922 Starr Bryden was strong enough to travel by bicycle to visit his family in Tennessee, a trip which made the newspaper, with updates about his progress along his route. I think many folks here were worried about him. The foot locker found in 2012 has photographs taken by Starr over those years, but also includes photos of Kerr County taken before Starr Bryden was in Kerr County. Those photos are a mystery, but may have been taken by J. E. Grinstead or a local photographer named Huntington. Many of those earlier photos, some from the 1890s, are on glass negatives, which were pieces of glass coated with photosensitive materials; basically, film before film substrate was acetate or plastic. Many of Starr Bryden's photographs are quite good, both technically and visually. He was a gifted photographer. Since 2013 several of us here at the print shop have been scanning the photographs in the foot locker, both the negatives and the prints. Our earliest scans were not as good as recent scans; new technology and better techniques are getting some great images from those old negatives, many of which are browned with age. It's been exciting being a part of the story of the foot locker and the treasures inside. So much of our local history is found in the same way: stored in a garage, found decades later, and then brought by the print shop. I'm thankful for the generosity of the Meeker family, and their kindness about the images in the old foot locker. Our community needs a museum where items like the photographs in Starr Bryden's foot locker can be preserved, studied, and displayed for the public. 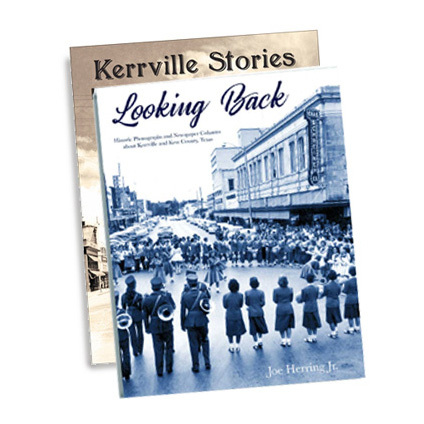 Joe Herring Jr. is a Kerrville native who collects Kerrville and Kerr County photographs. If you have something you'd allow him to scan for his collection, please bring it by the print shop at 615 Water Street in beautiful downtown Kerrville. This column originally appeared in the Kerrville Daily Times April 13, 2019. If you liked this column, you'll like my two books of collected columns. You can get yours at Wolfmueller's Books, Herring Printing Company, and online by clicking HERE.